The very breath of music flows as dynamic nuances and minute details are reproduced with the gentle touch of a master's brush. Thunderous low frequencies are delivered with authoritative and articulate control as you are transported into an environment of music that is effortless, natural, alive and whole. Masterful in its pure revelation of music and magical in its ability to utterly disappear, the Pearl3 is a loudspeaker for music lovers that want to get off the upgrade merry-go-round and fall in love for life. Housed in separate enclosures and linked by solid brass points, the Pearl's tweeter and midrange are isolated from the dual woofers below. The input posts are the Patented Cardas vise-type design (CE approved) for maximum contact. The aluminum cone woofers were custom created with additional magnet mass, and copper pole piece for the cleanest possible bass reproduction. The zinc alloy cast frame has extreme rigidity and narrow fingers to minimize any internal reflections. A field array of tiny yet powerful magnets are spaced around the edge of the tweeter's voice coil, allowing the area behind the dome to remain clear of any reflective materials. To hear the Pearl3's is to experience your favorite recorded music anew. You can relax and forget about the usual artifacts that cloud the sound and render it an artificial imitation. 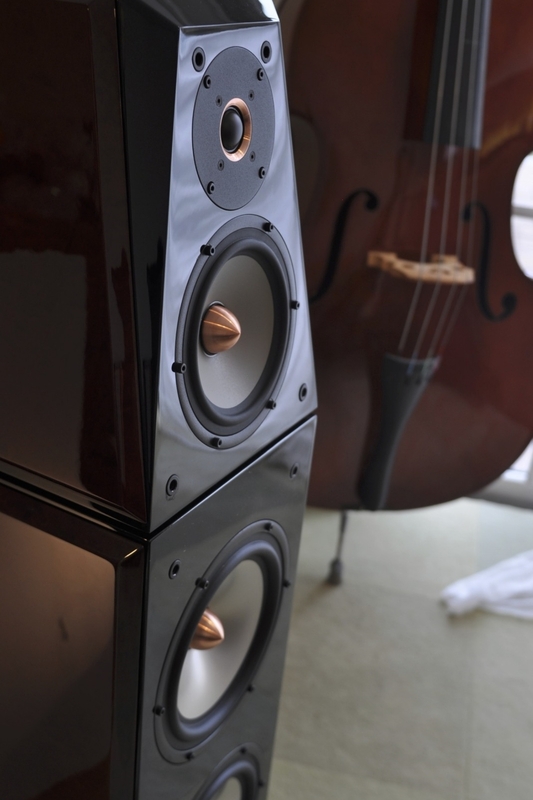 The Pearl3 propels you back in time to experience performance nuances and musical magic that lesser systems gloss over.